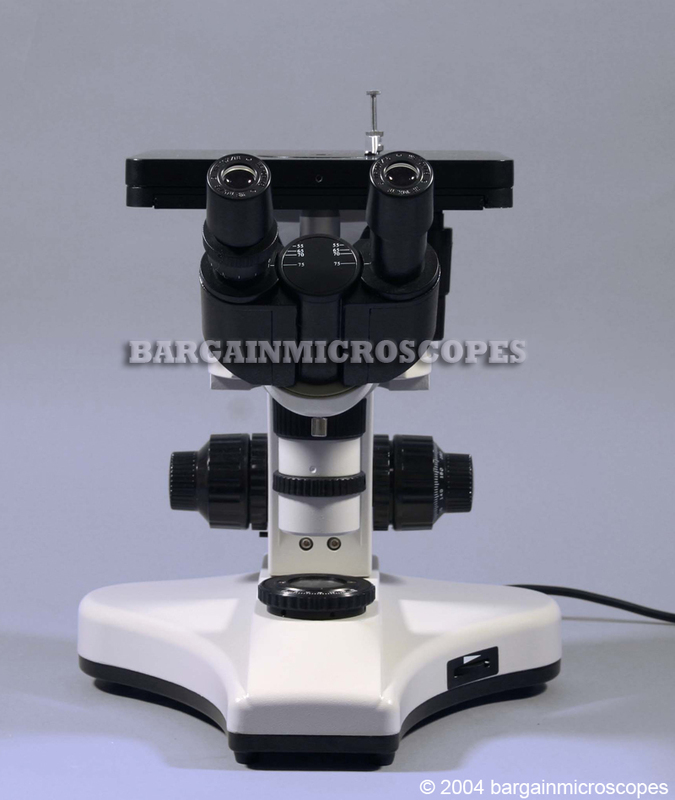 Typically Costing $6K+, Our Line of Epi-Illumination Microscopes provide Nice Quality at Unbelievable Prices! 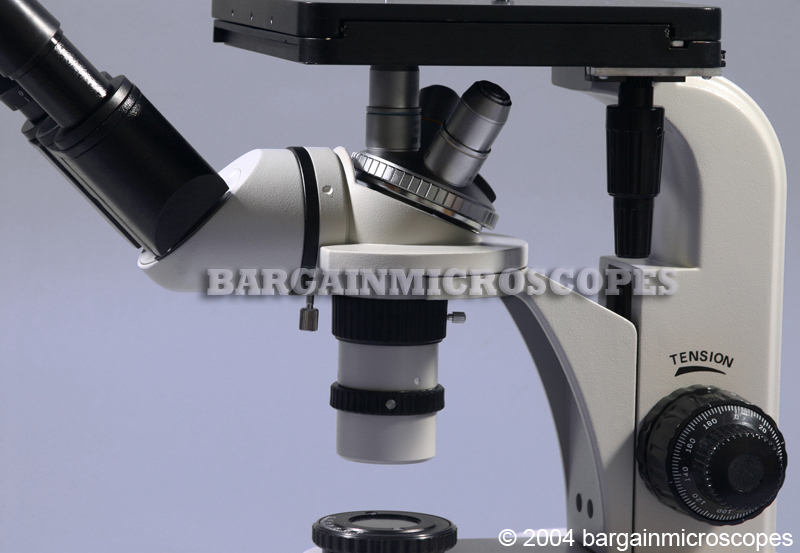 Inverted Binocular Professional Metallurgical – Metallographic Microscope! 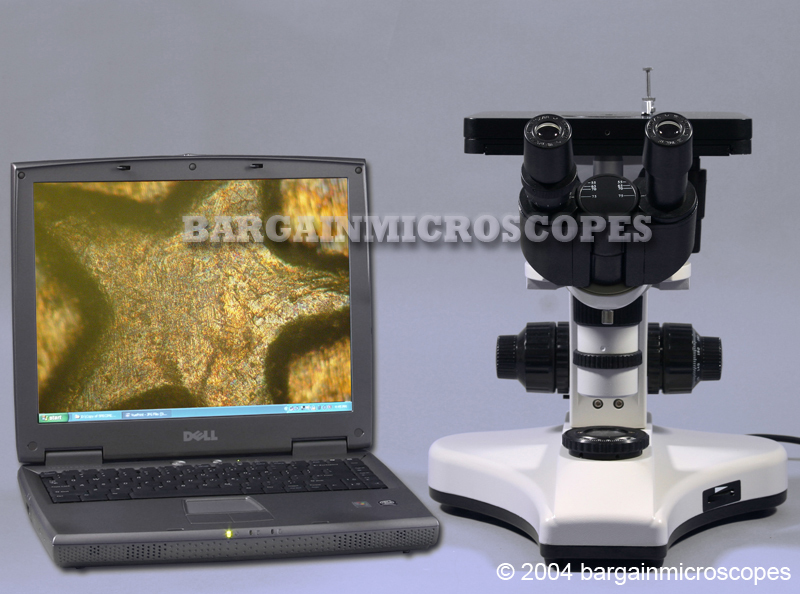 Obtain Highly Magnified Images of Surface Structure. Excellent for a Variety of Industrial and Research Applications including Metallurgical Labs, Silicon Wafer Inspection, Industrial Inspection – Quality Control, and Foundries! Advanced Epi-Illumination Design provides Maximum Lighting for Optimal Image Clarity. Light Travels Through the Objective, Reflects off Object’s Surface, and goes Back Into Objective! 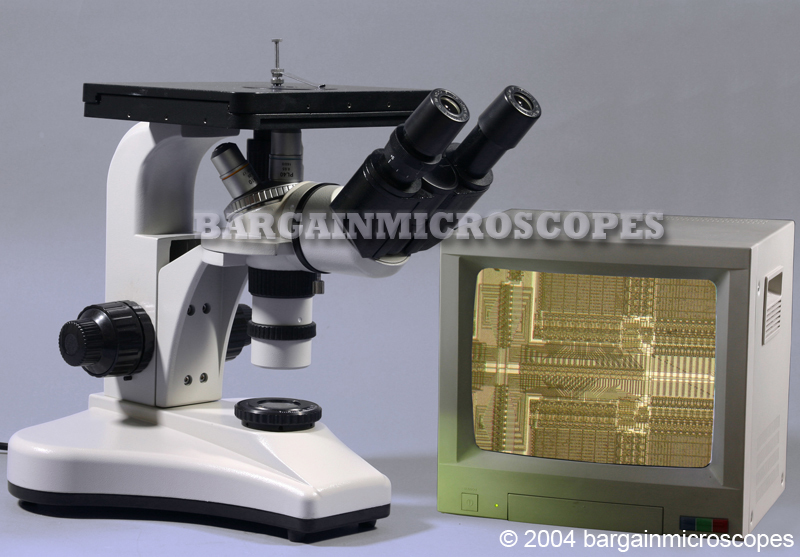 Metallograph microscope with upper lighting through the objective. 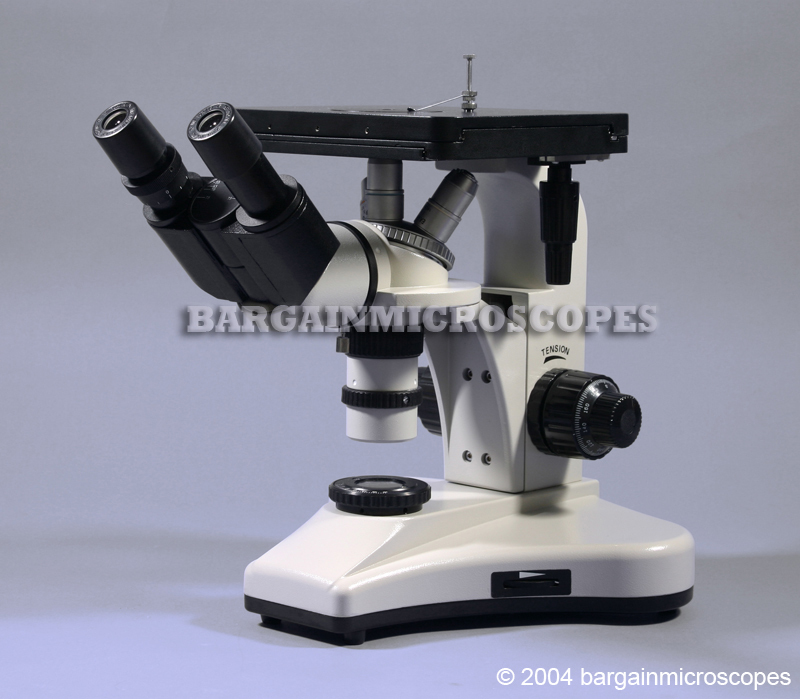 FREE Microscope Measuring Kit Included: $350 Value! 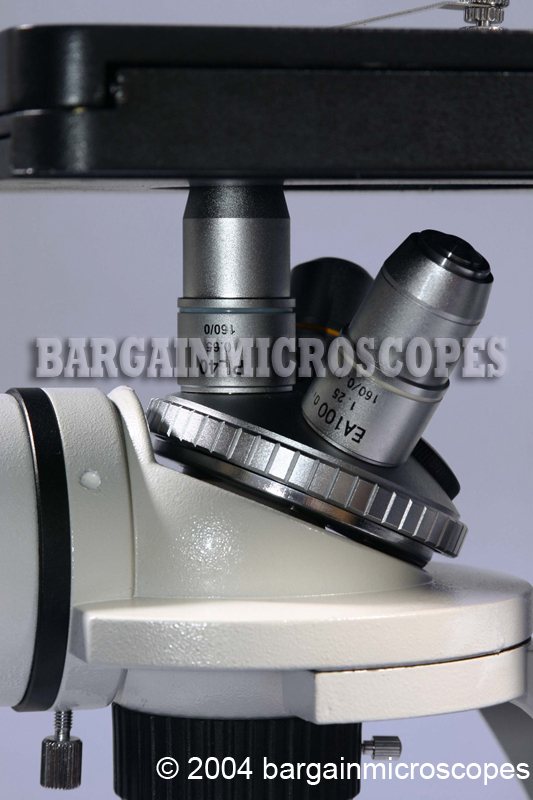 Includes: Stage Micrometer with 1mm in 100 divisions, 0.01mm resolution for precise calibration of measuring reticle. Includes: Extra WF10x Eyepiece with Built-In Measuring Reticle, X-Scale, 10mm in 100 divisions, 0.1mm Resolution. 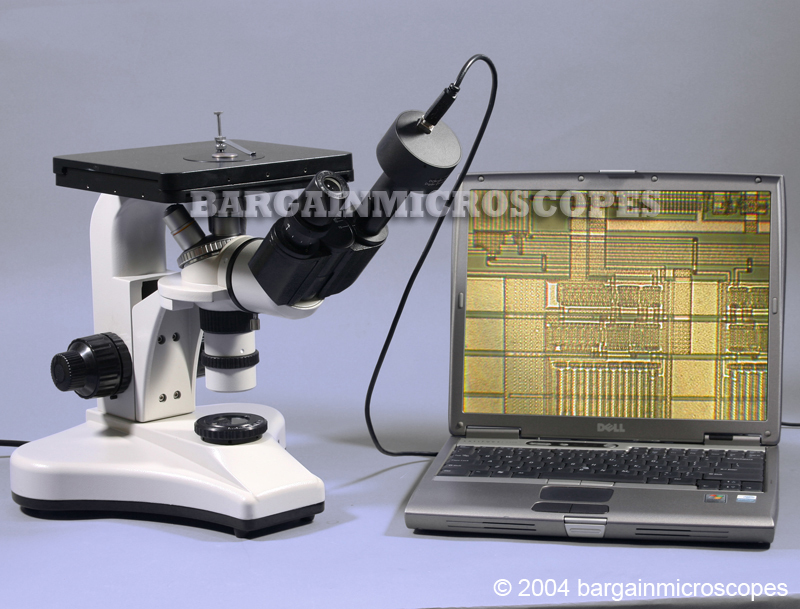 Call Us Today to Discuss Your Measuring Needs and How This Microscope Will Work for You! BONUS: Includes an Aluminum Carrying Case with Precut Foam for safe transportation of your precision instrument. Six Magnifications: 100x, 125x, 400x, 500x, 1000x, and 1250x. Three DIN Objectives: 10x (Achromatic, N.A. 0.25, 7.3mm working distance), 40x (Plan, N.A. 0.65, 0.74mm working distance), 100x (N.A. 1.25, W.D. 0.20mm, Achromatic, Oil Immersion, Spring). Two Eyepiece Sets Included: Wide Field 10x (Field of View 18mm Dia. )/ Plan 12.5x (Field of View 15mm Dia.). Halogen Variable Intensity Epi-Illumination Light. Koehler Illumination Focusable Field Diaphragm with Iris. Substage Light Condenser with Condenser adjustment knob. With iris diaphragm. Filters Included: Blue, Green, Yellow, Frosted. They simply sit over the base light. Large Mechanical X-Y Movable Stage: Size 200mm (X-direction) x 180mm (Y-direction). Large Unobstructed Open Stage is Perfect for Oversized Specimens that would not Fit on an Upright Model. Low Position Coaxial X-Y Stage Movement Knobs – Range of Movement: 70mm (X-Direction) x 50mm (Y-Direction). Adjustable Lock Ring Stop to Limit Coarse Range to Protect Objectives and Specimens. 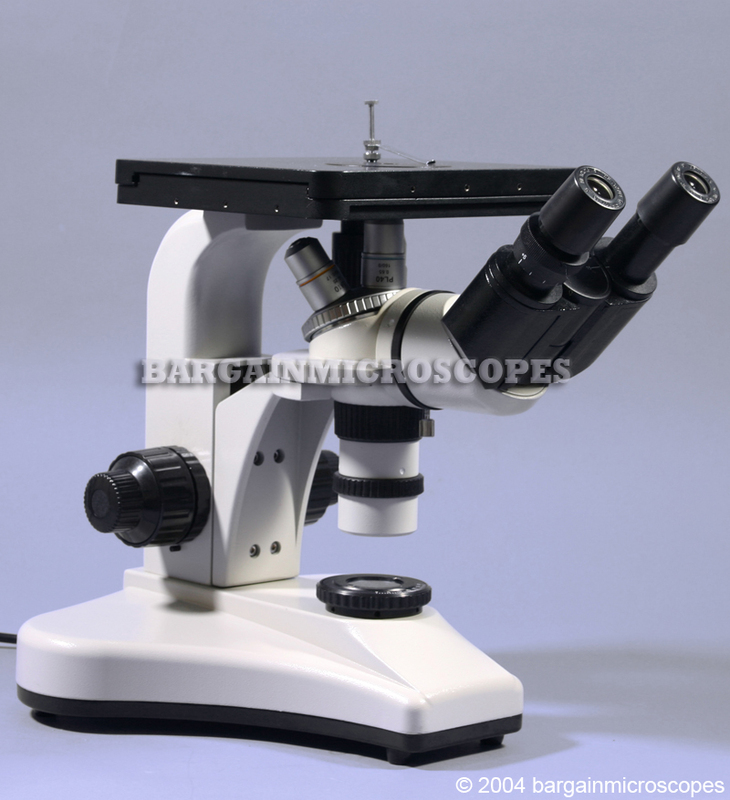 Total Overall Height of Microscope: 310mm. Includes: Instructions, Dust Cover, Bottle of Immersion Oil, Two Extra 20W Bulbs. Two microscope stage plates with different hole sizes for accomodating various metallurgical specimens: 10mm and 20mm diameter holes.